Meet the baby of the Willinga dressage stable, Fangio. 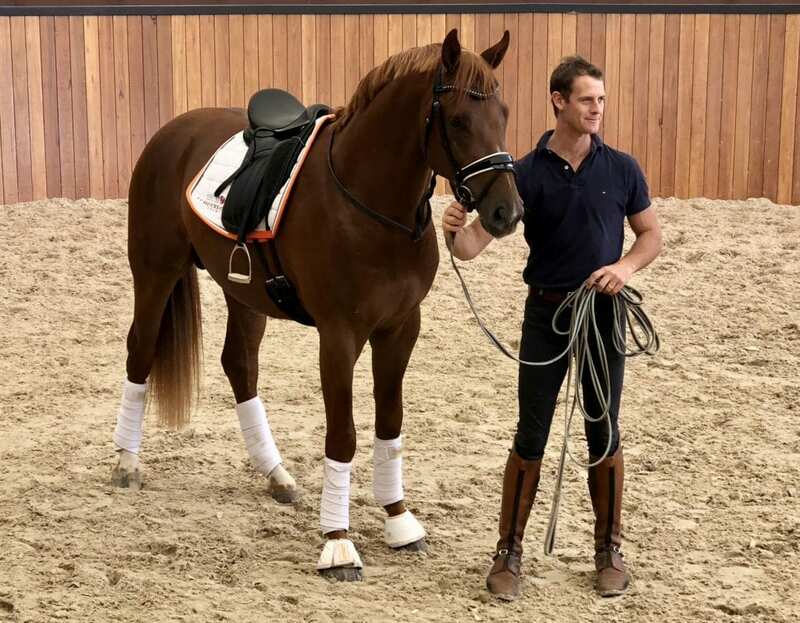 Willinga’s dressage performance team Brett Parbery and Dave McKinnon cannot stop talking about their new baby horse Fangio. They are smitten! Fangio was purchased by Willinga Park at the Westphalian Stallion Licensing in Germany in late 2017. 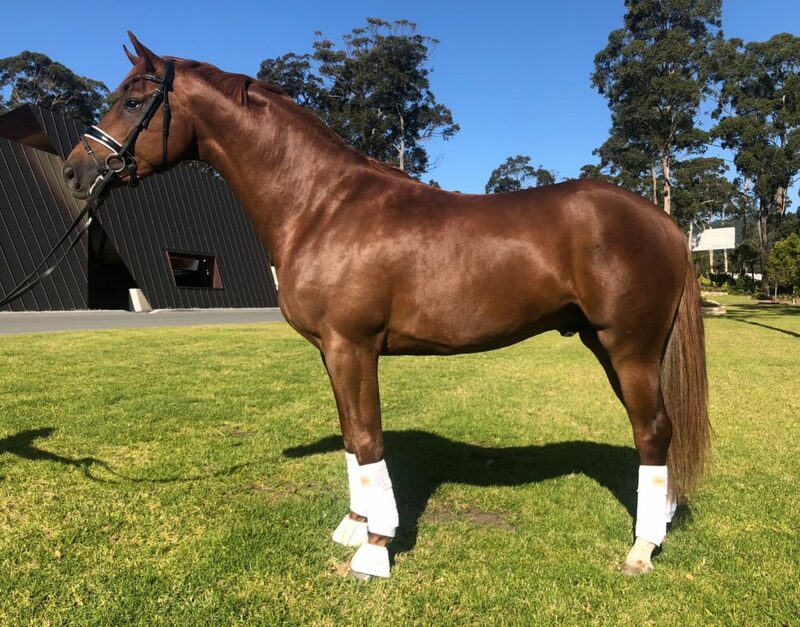 By Flanell, out of Laurentio mare, Fangio recently arrived in Bawley Point around his 3rd birthday and has settled right in, comfortably assuming his position as everyone’s favourite toddler. Brett says he was taken with Fangio at first sight, and loved his strength, the mechanics of his movement and his temperament. He also liked that he features the stallion DeNiro on both his sire and dam side. This particular day, the idea was just to take a few pictures and a quick video to share with you, but it turned out to be a big day for our little guy! Firstly, Dave popped Fangio on the lunge to show us the mechanics and strength that impressed Brett in Germany. What do you think? Young horses purchased from Germany have often had extensive training/work on the lunge, so this is nothing new to Fangio, but Dave wanted to lunge him saddled up. He adjusted the stirrups to be long enough to get Fangio used to a bit of movement against his side, but short enough so he couldn’t get tangled up. You can see what Brett and Dave like about Fangio’s temperament! Then Brett turned up at the round yard, saw Fangio going around sweetly with the saddle, and suggested that Dave hop on. We like to caption this photo of Dave “you’re kidding right??”. Nope, not kidding. Jokes aside, in reality we take things pretty slowly around here when it comes to young horses. 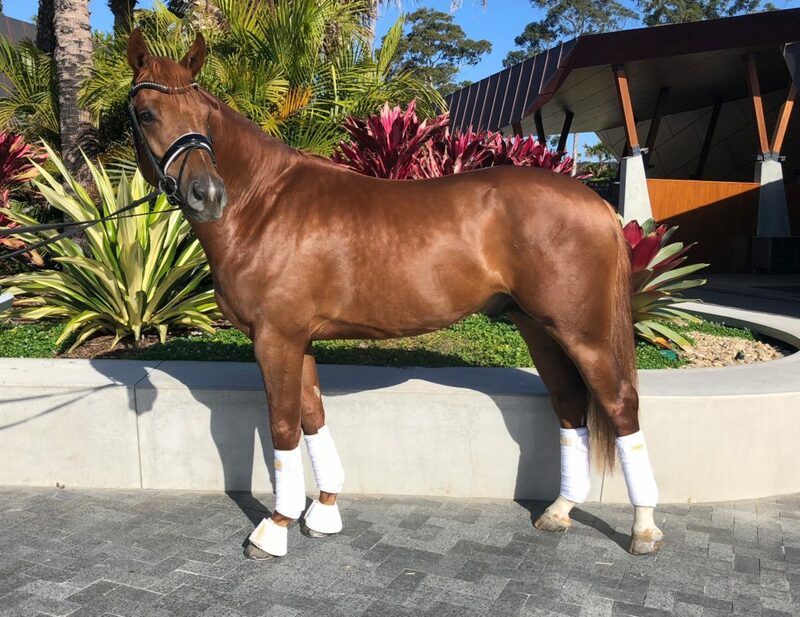 We’re in no rush and Fangio will have lots of time to grow into that amazing horse he’s destined to be. We’ll be sure to keep you up to date with his progress.